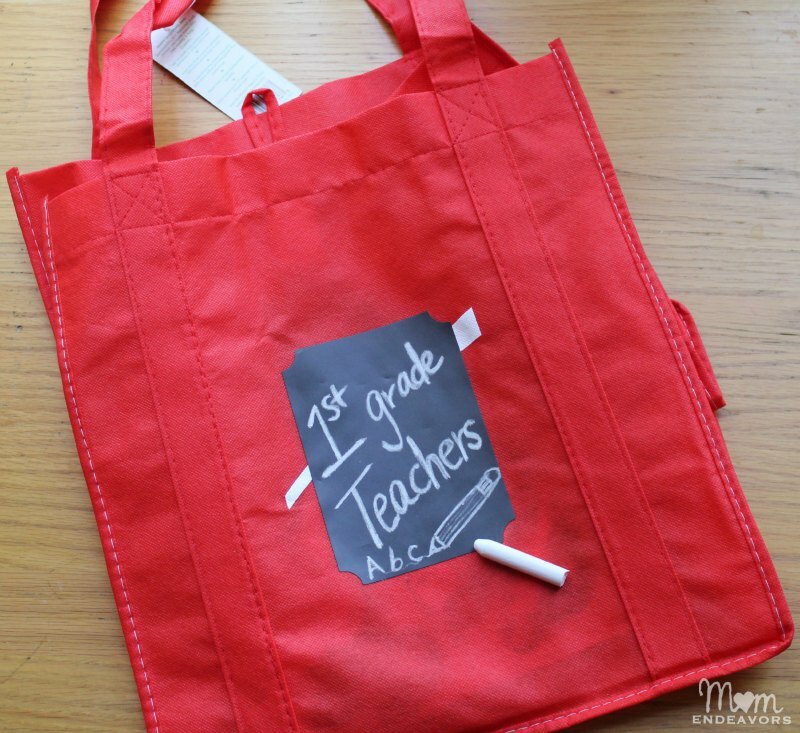 Easy DIY Chalkboard Teacher Tote – Great Back to School Gift! 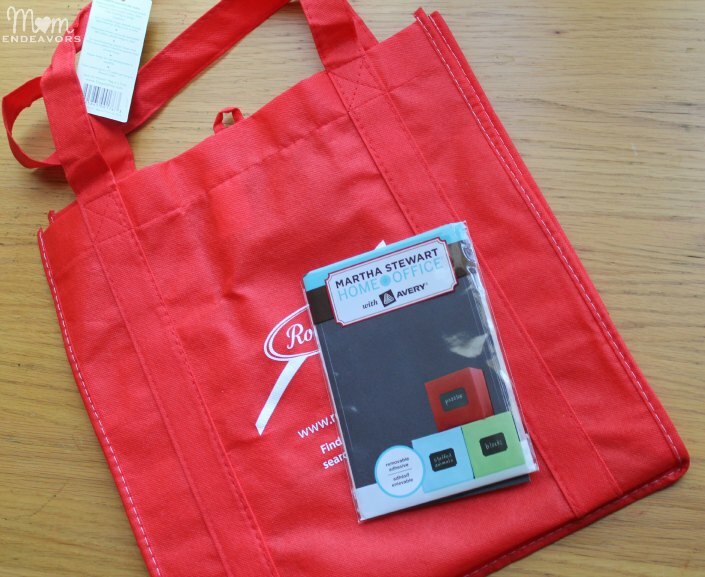 If you’re looking for a ridiculously easy, yet nice back to school teacher gift, then this is definitely a post for you! As part of the Elmer’s Bag It Forward campaign, I recently donated a bunch of extra supplies to Big Brother’s first grade teachers. Last year I put all the extra supplies in a big file crate. But, I thought a cute tote that his teacher could keep would be especially cute. 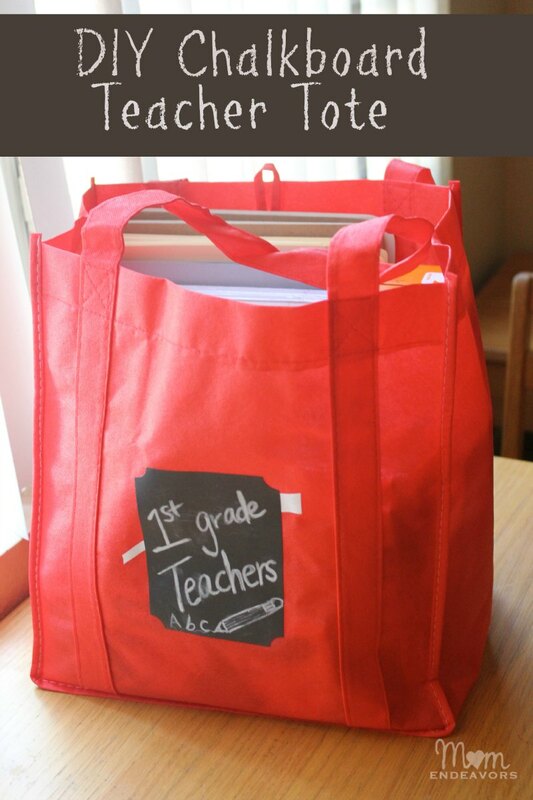 So, I made a super easy chalkboard teacher tote! Cute, right?! The best part is that you can seriously do this in 5 minutes with just 4 simple supplies! 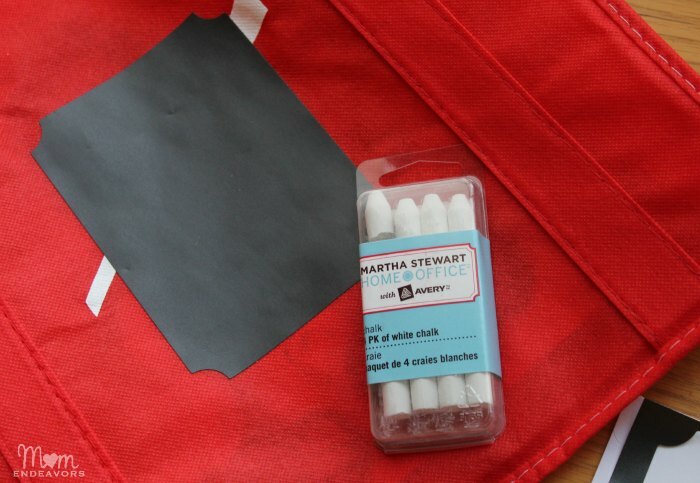 Have you done any projects with chalkboard labels or paint? Disclosure: I received a free product sample of the Martha Stewart office products from Staples. However, project idea, opinions, and experiences are entirely my own. This is super cute!! I need some of those labels in my life!! Those labels look great! I can think of tons of places I could use them! I love your idea with the tote bag – you can never have enough of those! These labels are awesome and I love the way you used them!